My name is Jean-Marc Denis, I’m a French self taught product designer. My wife and I are currently living in San Francisco and I’m working for Google as a mobile product lead for Inbox By Gmail. Before that I was the product designer for Sparrow Mac and iOS. We got acquired in August 2012 by Google. As a Sketch early adopter, I wanted to help people to switch, so I wrote some blog posts. More recently, during my spare time, I created a master class in which I teach how to use Sketch by creating an iPhone app step by step. It’s called sketchdesign.io. I’m pretty sure it started earlier, but as far as I can remember the first sparkle started when I was a kid. I was around 9 and it was during a class at school. 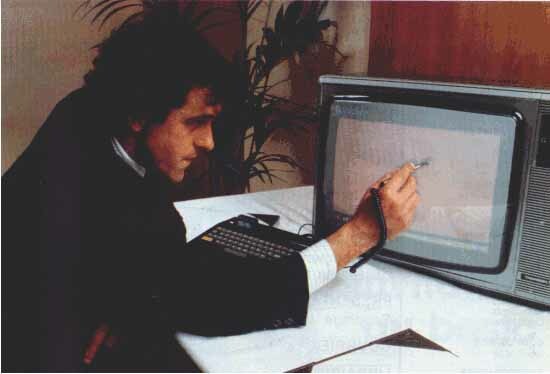 The teacher showed us how to draw on a screen using a stylus. To give you an idea, the computer was a MO5. It was 1989. I was not very good or interested in school. My brother and I had the amazing opportunity to have a computer at home and I was fascinated by it. I was spending my entire free time not doing homework but playing with it, trying to understand how it was working from the hardware to the software. I dropped out of school when I was 19 and I only had a certificate of vocational proficiency. I knew the basics of html and Photoshop and enough of the technical side to be able to create and publish a website from scratch. My best friend and I created a company that was focused on digital identity, marketing and branding. It was a tough but priceless experience to learn what life and work really were. Every new client was a new challenge because we had to learn new languages, new techniques while building something for them. We knew we had this capacity to adapt and learn as we went. We spent countless hours building things and challenging ourselves, it was amazing. After 4 years, the business in our small town of France was really bad so we ended up shutting down the company. I found a day to day job as an operator and after a few years, I started my freelance activity. I had internationals clients and found again this amazing feeling of creating things. After 2 years doing that, I contacted Dom Leca who was co-founder of a young startup. I loved their product so much that I emailed him saying that I wanted to work with them, for free. That’s how I joined Sparrow. Let’s talk about the creative process. What tools and software do you use for your work? I am sure it’s like everyone in the industry theses days. As a product designer you often start with a blank canvas, trying to solve one, or a set of problems. You want to make users life easier. My job is to think in depth about users everyday problems so they don’t have to. I usually don’t spend much time sketching with a pen and paper because I feel like going to a design app right away is more efficient. I try to go mid or high-fi very quickly so when I present my work, people can envision my ideas much easier. I often go back to the white board when I work with other designers because that’s how we communicate. As for interactions, I am lucky enough to have brilliants prototypers working in my team so I know they will be 10 times more efficient than I will. That allows us to generate a wide range of explorations very quickly. Our work isn’t done until it’s built the way we envisioned it. That’s why I think it’s vital to spend time talking and building a trustworthy relationship with Engineers. I try to involve them very quickly in our design iterations. It doesn’t make any sense to have a fragmentation between designers and engineers because at the end of the day, everyone is part of the team that share a common vision and build the product. 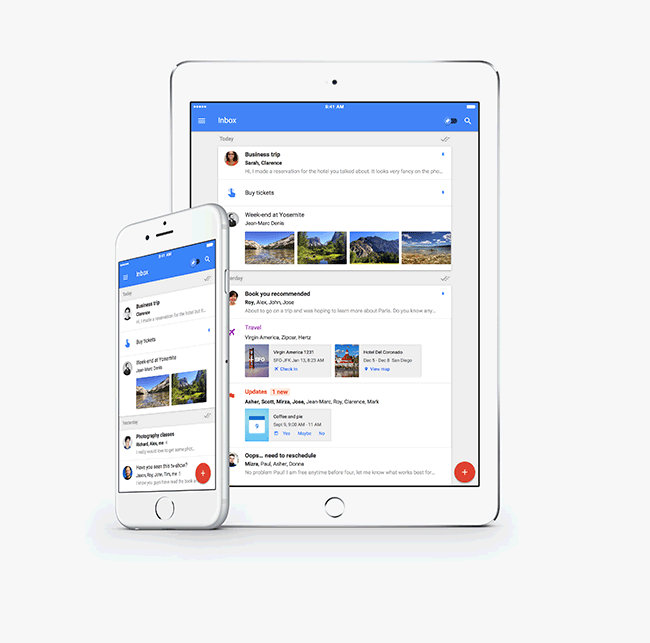 We just released Inbox by Gmail for tablets and this version is a starting point for us. We are working on a better navigation and interactions. Feature wise, I can’t say too much but the current Inbox version is just the beginning of many cool things to come. More personally, there might be some surprises soon and I am looking forward to sharing that. Being a freelancer made me realize that I am way more efficient working in a calm and distraction free environment. I also realized that you can’t do that 100% of your time because building relationships with everyone in your team will be one of the most precious assets to craft great products. I don’t have any background in art history so I might not like museums or modern art as many of designer would. That being said, art is everywhere and I can be amazed by the most simple things, everyday. I just finished watching a documentary called “Jodorowsky’s Dune” that was a true source of inspiration and I have a deep respect for everyone involved in this project. I am also sad that I will most likely never see this movie or never have the chance to get my hands on the art book / storyboard they created.